We at Aspirinox Alloys Inc are well-known and one of the chief supplier, dealer and stockist of ASTM A105 Carbon Steel Bars, Rods & Wires manufactured from premium quality carbon steel raw material. This offered range of products of A105 Carbon Steel Round Bar available in different range of sizes, dimension and specification. The high-quality Carbon Steel A105 Rods are supplied by us to various engineering and forging industries. These offered CS A105 Bars are always supplied with the test certificates and can be supplied in bulk quantity according to international standards, like ASTM, ASME, DIN, JIS, AISI etc. Our ASTM A105 Carbon Steel Bars is being produced from premium grade carbon steel materials. Here, our knowledge promises clienteles by means of greater finish qualities of these ASME SA 105 CS Rods together with greater functionality. ASTM A105 Carbon Steel Round Bars are individually packed to ensure that the high quality of the product is maintained and no damage in the last stages of production. 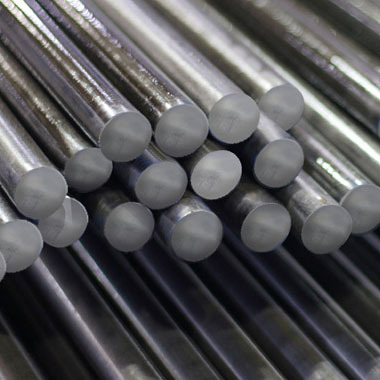 We at Aspirinox Alloys offer Carbon Steel ASTM A105 Bars in custom-made sizes and shapes including ASTM A105 Carbon Steel Rectangular Bar, ASTM A105 Carbon Steel Square Bars, ASTM A105 Carbon Steel Hollow Bar and many more to meet all the expectation and demand of our esteemed clients. Call us now and request a free quote! Specifications for ASTM A105 Carbon Steel Bars, Rods & Wires. If any specification is not mentioned here, please use the contact button for quick quote. Request the latest ASTM A105 Carbon Steel Bars, Rods & Wires List. Please click on the request a quote button or click here to request the updated price list and ready stock information along with your requirement. Aspirinox Alloys INC maintains a stock of all standard items and can export them at best price for ASTM A105 Carbon Steel Bars, Rods & Wires.